The culinary of Saigon is one of the most well-known parts in Vietnamese culinary. 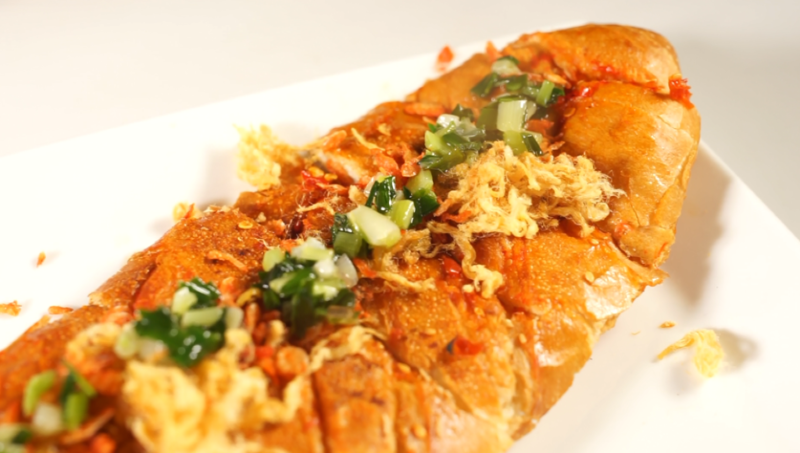 Recently, local people and visitors has been fond of grilled Banh My. This dish interests a lot of people, especially teenagers and tourists. The typhoon created by this kind of fast food has inspired many visitors by its unique taste. If having chance to come here, you should enjoy grilled Banh My in Saigon or you will be regretful so much. Grilled Banh My with salt and chili is the traditional dish in An Giang province. For the first time, this dish was processed simply by the Khmer. They seasoned salt and chopped chili onto the surface of Banh My and then they grill it by coal stove. However, when grilled Banh My is brought to Sagon, it is changed a little in order to be suitable for customers. The process, extra ingredients and the way to mix savor are also changed, which is depended on the style of chef. 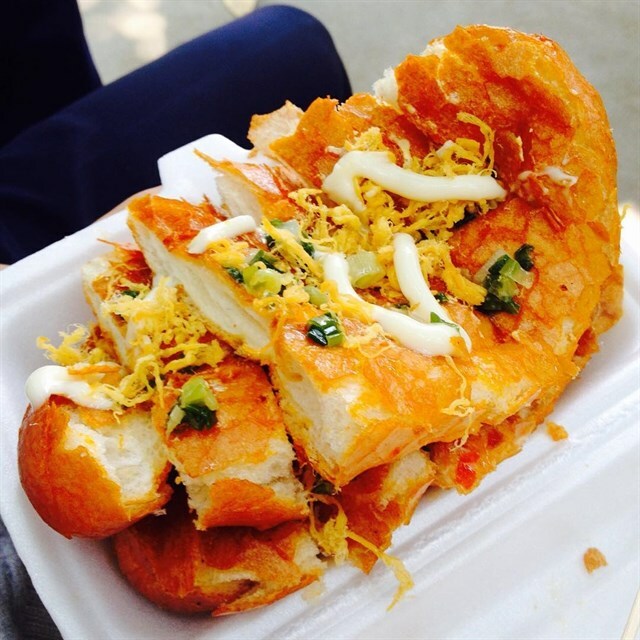 Grilled Banh My is eaten with many extra food such as cheese, dried shredded pork, fried onion, mayonnaise, chili sauce, hot dog and so on. 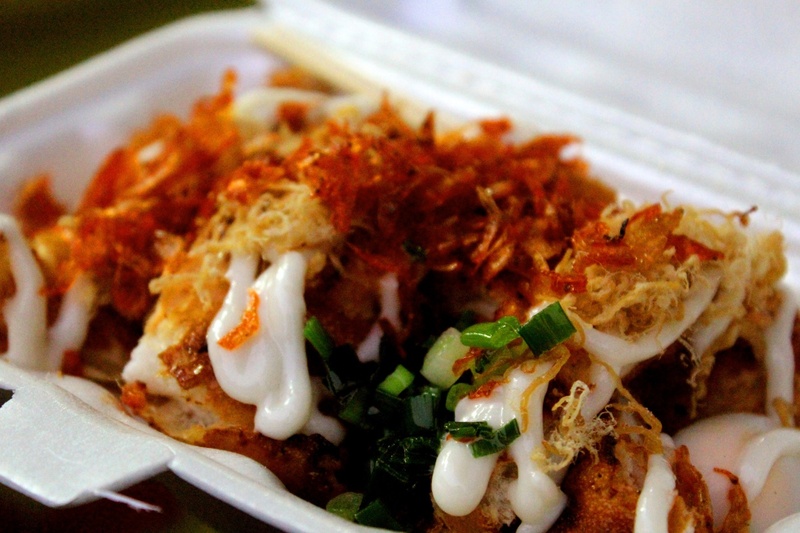 This kind of Banh My is quite salty, crunchy and greasy, which makes visitors always want to enjoy again. Moreover, the interesting thing of enjoying grilled Banh My in Saigon is that you can see how local people make it. This is really an exciting experience on your journey. This is one of the most famous street restaurants that serve grilled Banh My in Saigon. It is very crowded but fortunately, the waiters are very agile. Customers will not wait for a long time. Grilled Banh My here is very hot and crunchy. It is located on the crossroad between Le Quang Sung and Cao Van Lau road. 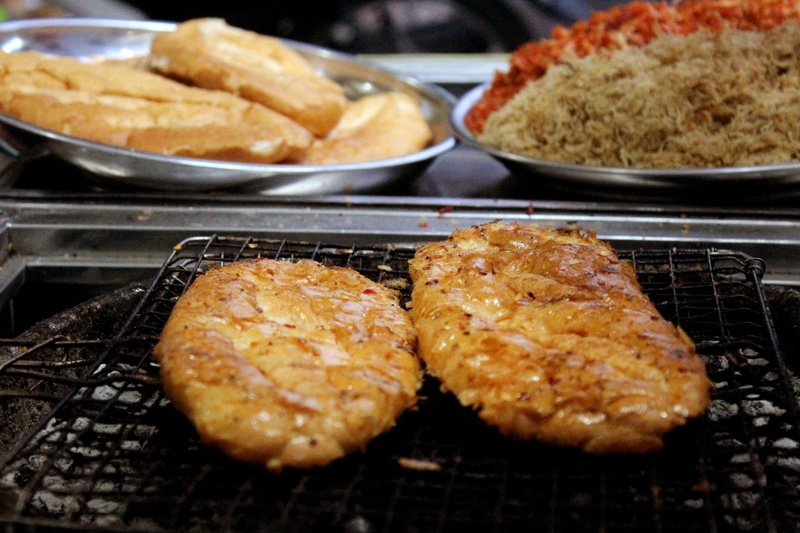 This street restaurant is located on Pham Van Tri street. The price is 8,000 Vietnam dong per one. Grilled Banh My here is cut into about 7 small pieces, which is very convenient for you to eat. This street restaurant is on Dien Bien Phu street. Grilled Banh My here is very delicious with special sauce. Moreover, the waiters are very friendly.